Like any good Southerner, I grew up loving pecan pie. However, in my family, there was a legendary horror story about pecan pie. This terrible tale got told and re-told over many years, prompting those who remembered the disaster to hang their heads in vicarious shame, and inciting fear in the hearts of those too young to recall it. 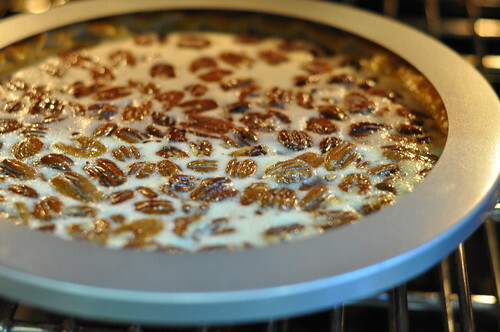 As the story went, my mama once endeavored to make pecan pie. She strictly followed a recipe to make two pies that were — according to legend — absolutely perfect-looking. Everyone gathered around to admire her culinary handiwork. And then she sliced the pies. 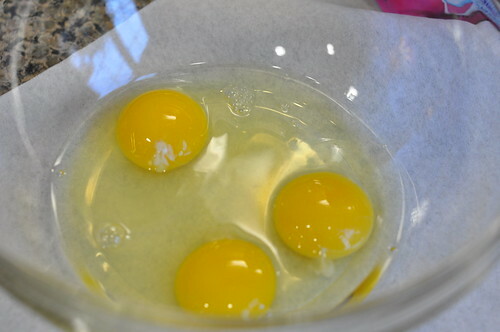 And the filling ran, each as runny as a sunny-side-up egg. Disaster. 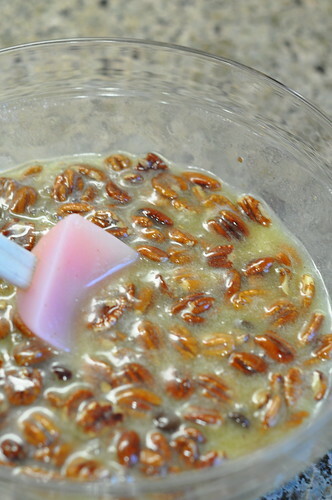 Traumatized by the failure, my mother never again attempted to bake pecan pie. That was how the story went, at least. In my personal experience, Mama was a wonderful baker. She baked amazing Little Dolly squares, her oatmeal chocolate chip cookies were celebrated far and wide, and no one could make shortbread as perfectly crumbly and buttery as hers. So if she could not make pecan pie, then I assumed it must be an insurmountable challenge that was not worth trying to conquer. Surely I was genetically predispositioned to fail. Several years later, I found myself living in Los Angeles with Uncle Josh. Thanksgiving was approaching, and I felt confident enough in my abilities to pull together a decent Turkey Day spread. I carefully planned out my menu — which even included homemade rolls — and strategically assigned the task of pecan pie to a friend who claimed she was up to the task. I had dodged a bullet. Have no dessert. On Thanksgiving. 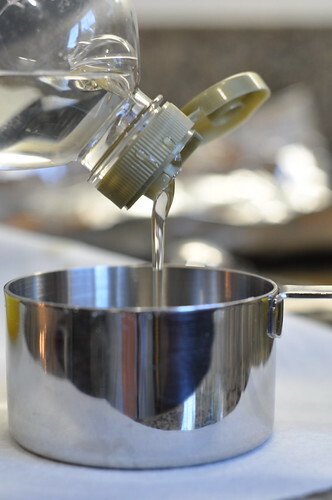 Purchase and serve a store-bought pie. Die. Attempt to bake the pecan pie myself and risk epic failure. Obviously I had no choice but to shoot for the moon and hope I could make it on one try. I phoned my stepmother, Lori, for guidance. She assured me that a pecan pie is not that difficult to make and talked me through the entire thing step by step. I didn’t know what to expect, but I was determined at least to go down swinging. And you know what? The pecan pie was surprisingly easy. And it. Was. Fabulous. And just to be clear — it was not fabulous because I have a magical touch. I do not. 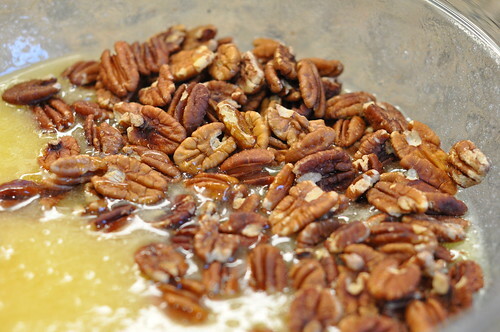 It’s just that pecan pie is really not hard and it turns out great. 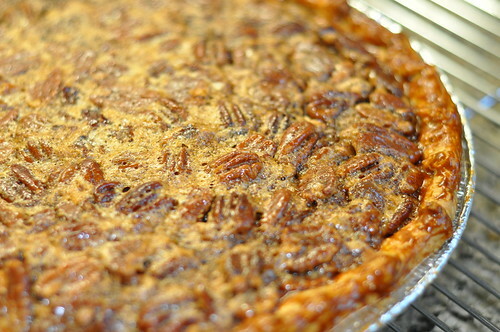 I cannot tell you how relieved I was on that Thanksgiving Day with my pecan pie triumph. 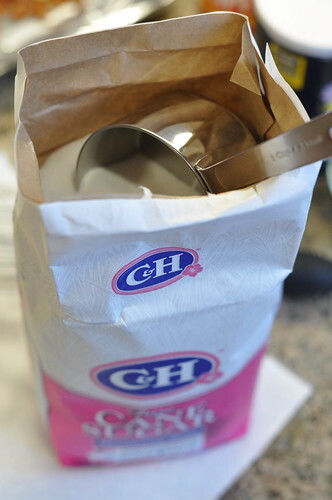 You can make your own pie crust from scratch, but I think this is time-consuming and unnecessary. The roll-out kind you buy in the biscuit section at the grocery store works great. 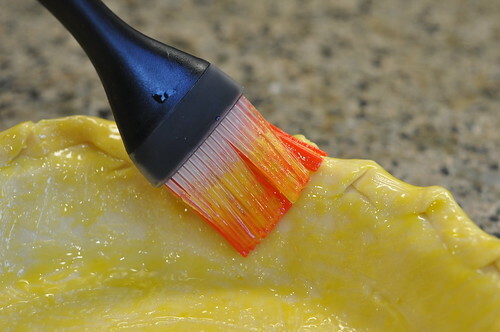 To make this step even easier, you can use a frozen pie crust that already comes in a disposable pan. By the way, I use a glass pie pan when serving the pie at home, and a disposable pie pan when taking the pie to someone else’s home. I don’t want to be that guy harassing anyone to get my pie pan back. 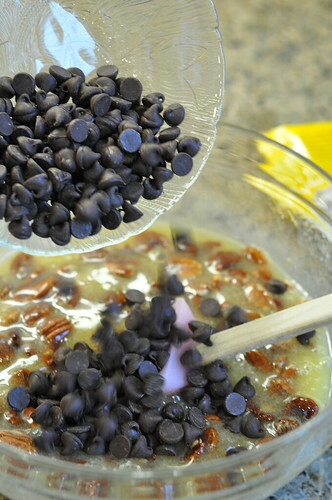 Also, if you would like to make a BASIC PECAN PIE (with no chocolate), increase your pecan halves to 2 Cups and omit the chocolate chips. Preheat oven to 375. 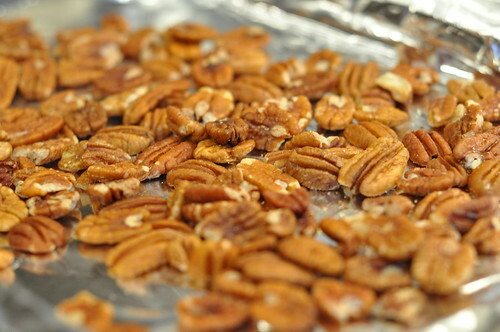 Spread pecans onto a baking sheet and toast until fragrant, about 5 minutes. Set aside. 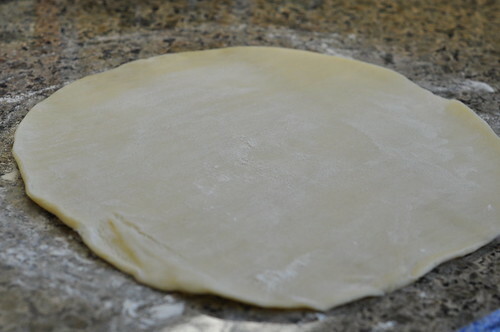 Meanwhile, roll out pie dough onto a lightly floured surface. 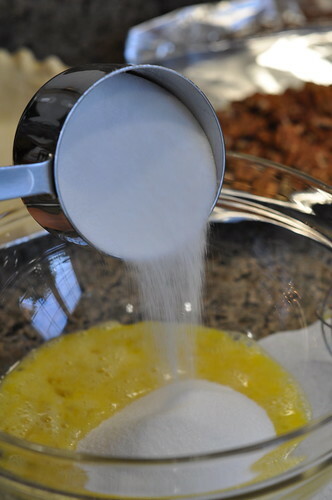 Sprinkle both sides with flour and place into a pie pan sprayed lightly with cooking spray. Fold in the edges and crimp with your fingers. (Don’t worry about making it look perfect — it’s better if it looks homemade!) 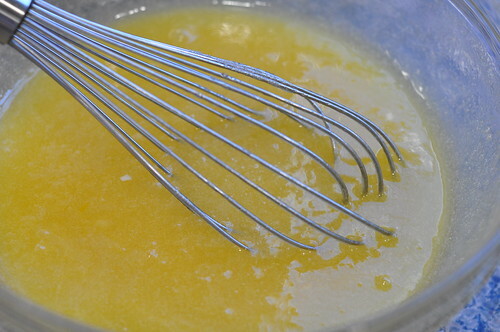 Brush with the egg yolk. 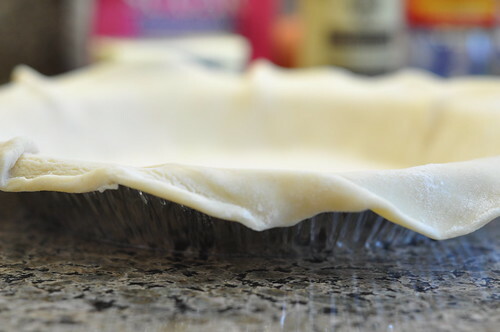 Check package instructions on pie dough; it may recommend that you cover the edges of the crust with a pie crust shield or strips of aluminum foil to prevent it from becoming too brown. 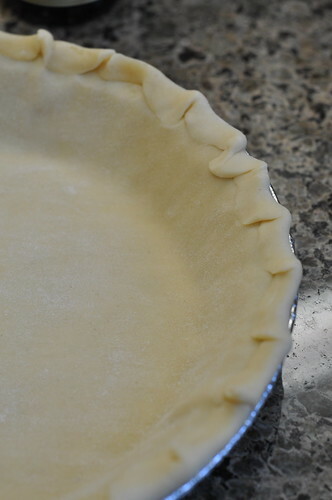 I added my pie crust shield 20 minutes into baking. 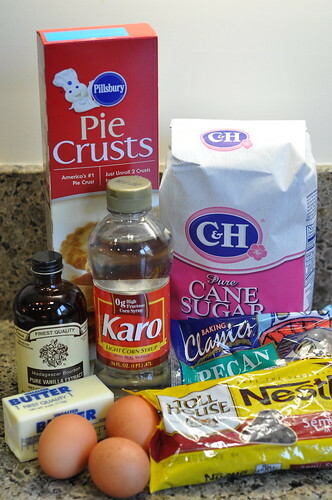 You can make this pie a couple of days in advance and store it covered with aluminum foil on the counter. 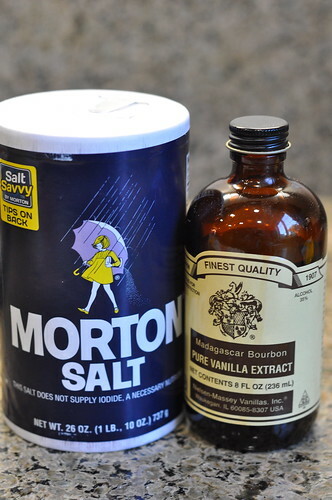 Serve at room temperature or slightly warm, and with vanilla ice cream or whipped cream. Or both. thanks for posting. 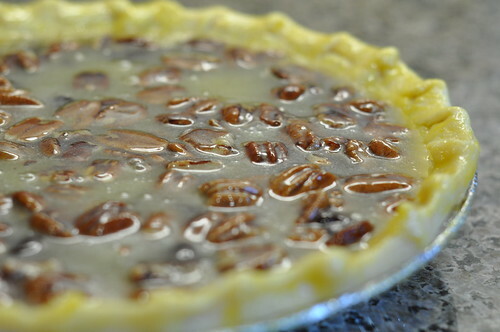 pecan pies is one of my favorites too! can’t have thanksgiving without it!! Hannah! I baked your Pecan Choc Chip pie and it RULED! Thank you so much for sharing the recipe! !